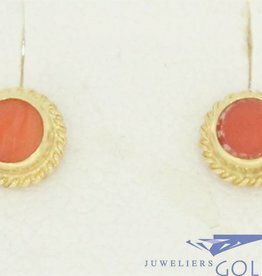 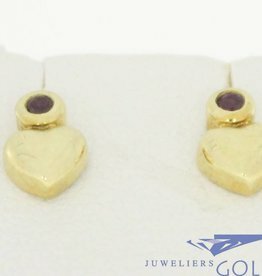 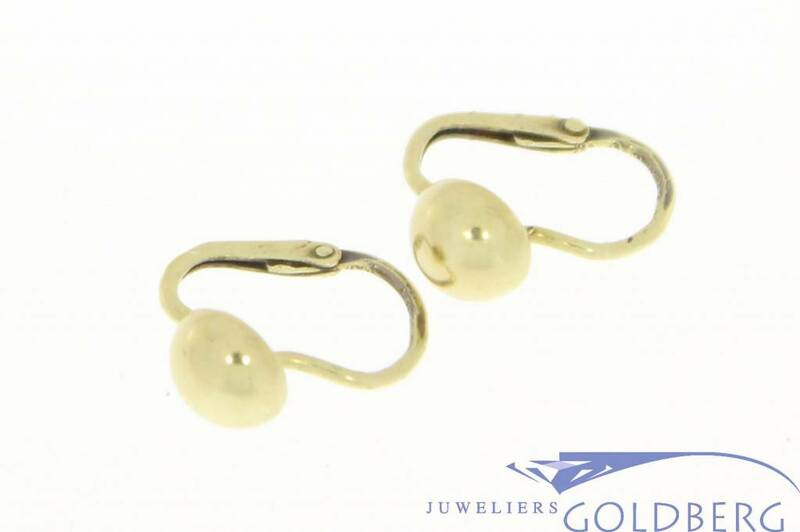 Simple but beautiful and tightly finished 14 carat gold earrings. 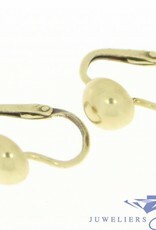 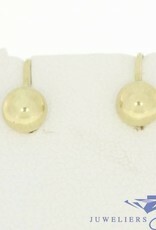 At the front of the earring is a gold (half) sphere. 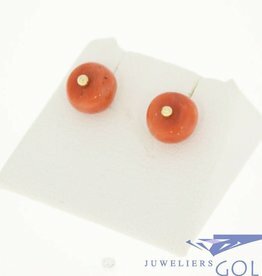 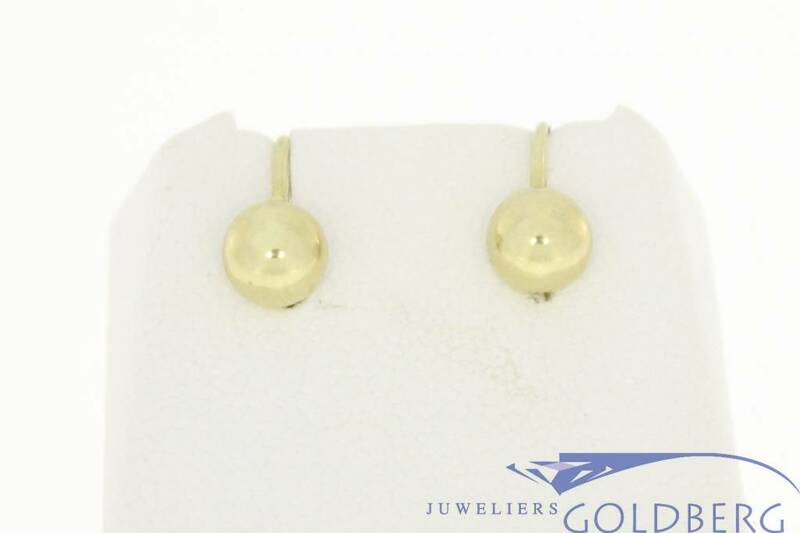 The diameter of the sphere is about 5.84 mm and the earrings weigh 1.2 grams in total.